Here you can find special courses for exchange students and non-German courses (see download area on the right-hand side) that have taken place over the last semesters. This willl help you to get a better overview of the range of courses you can attend at JGU. If not otherwise stated in the course description, you need to use the form “course registration for exchange students” in order to register for the course - just like for regular classes. Every year since 2002, Massachusetts Institute of Technology (MIT) has published its list of the ten technologies it predicts will have the greatest innovative impact long-term. For 2018, these are: 3-D Metal Printing, Artificial Embryos, Sensing City (Smart Cities), Artificial Intelligence in the Cloud as Everyday-Technology for Everybody, interacting Neural Networks and Artificial Intelligence, Babel-Fish Earbuds for Real-Time Translation of Natural Language, Zero-Carbon Natural Gas, Perfect Online Privacy by Hightech-Cryptography, DNA-based Prediction Technologies, Quantum Computers Understanding New Materials. Such lists are created annually; some technologies prove to be just bubbles, others exceed all expectations eliciting challenging societal debates such as the current ones about energy transition technologies, e-mobility or Industry 4.0. However, one issue is beyond all question: Technology changes society, and, vice versa, societal institutions and organisations shape and influence technologies as „social projects“ by fostering, funding, enabling, producing, limiting and preventing them. This lecture introduces to Sociology of Technology and Innovation – the field, which analyses social phenomena around the production, the structures and the consequences of technologies and innovation. The lecture will provide a brief history of both, Sociology of Technology and Sociology of Innovation. Then, major concepts in both areas will be discussed. For technology, issues will be addressed such as: technology as actor, socio-technical systems, technology and social structure, technology assessment, emerging technologies, techno-futures, technology and foresight, technology and ethics, technology and gender etc. For innovation, introductions will be provided to concepts such as innovation models, innovation systems, technological innovation, social innovation, open innovation, innovation networks, responsible research and innovation, Nexus innovation etc. The lecture will suggest a joint approach to an integrated Sociology of Technology and Innovation using some illustrative examples from recent developments in Artificial Intelligence to demonstrate why this is a useful perspective for understanding the complex social dynamics in technology and innovation. Finally, the lecture will address governance issues around technology and innovation and connect their sociological analysis to complexity-adapted methodologies in the social sciences. This course comprises basic texts and programmatic contributions of central scholars in Sociology of Technology and Innovation. It provides an overview of the field and a first introduction to its concepts, debates and state of the art. For this lecture, no pre-class preparation or class presentation is required. Students will receive an agenda with literature references in the first session of the course, and can obtain a slide deck of the lecture after each session. The only assignment of this lecture is a written exam as post-class work (Klausur). The seminar will be accompanied by a tutorial (3 ECTS) introducing students from abroad to the techniques of academic work within the German university context (see next course below in the course overview). The seminar and tutorial are open to all incoming students. We recommend taking part in both the seminar and the tutorial. The tutorial's content is coordinated with the requirements of the seminar "The Social Scientist’s View of Germany" (see above). Both courses are open to all incoming students. Thus, we recommend taking part in both the seminar and the tutorial. We are keen to welcome students from Mainz and all over the world to participate in this comprehensive intercultural training. In this course you will team up in small groups to reflect on your own cultural background, how it is perceived by others, and how you in turn perceive habits shaped by different cultures. The course is open to all exchange-students at JGU. The course work consists of keeping a learning journal to reflect on your own intercultural experiences in Mainz, of teaming up with other German and international participants to create a short video based on these experiences and reflections, and of finally writing your own critical reflection on the finished video of your group. You will receive 3 ECTS for successfully completing the course as well as a certificate of attendance. This course is a lecture series by the Faculty of History and Cultural Studies and organized by Art History, Ancient and Classical Studies as well as Musicology. For the first time, students will have the possibility to gain insight into the broad range of research projects which will be presented in individual lectures. These will thematically shift between topics from History, Musicology, Art History, Classical Archaeology, Egyptology, Classical Studies, Byzantine Art History, Ethnology and Ancient Near Eastern Studies. The lecture series thereby provides students with an interdisciplinary approach to studying the humanities by being introduced to the diversity of research questions, methods, sources and theses. This course is aimed at students from Mainz and international students from abroad and is held in English. Please use the form “course registration for exchange students” and send an e-mail including your name and field of studies to kami@uni-mainz.de. The study of economic relations is crucial for understanding past societies. Economic archaeology investigates the relationship between ancient populations and their natural resources by exploring the organization of subsistence activities (food procurement, food production) as well as the production, distribution and consumption of all goods available to a past society at a given point of time. Economic archaeology aims to explain the driving forces behind economic strategies and explores the relationship between the economy and the sociopolitical organization of past societies. The course provides a basic introduction to key concepts and central research questions of economic archaeology by (mostly) focusing on examples from the Ancient Near East (Western Asia). This area is of particular interest for the study of pre-modern economies since it is here, where radical changes such as the transition to sedentary life or the rise of the first cities and states occurred at very early point in human history. While we will primarily draw on Near Eastern examples, the questions discussed in our course are relevant for students from all disciplines dealing with pre-modern societies. We also invite everyone interested in approaches of studying pre-capitalist economies to enroll for our introductory course: neither previous experience with archaeological research nor knowledge of economic theory is required. Note, that the course is designed as a reading class. Therefore, we expect every participant to read at least one article in preparation to each lesson. The participants of the course will also be asked to actively engage in our joint discussions. The research papers discussed in the seminar will cover a broad range of topics, from the application of economic models and theories in (Near Eastern) archaeology to classic as well as recent articles from the fields of economics, economic anthropology, and economic geography that had and have an impact on archaeological research. In order to diversify the curriculum of our institute, the joint discussions will be held in English (if at least one non-German speaker will attend). Feinman (2008): Economic Archaeology, in: D. M. Pearsall (Hg. ), Encyclopedia of Archaeology Vol. 2, 1114-1120? In this compact course, we will briefly introduce various methods of studying language empirically, and move on to discuss those methods that are particularly well-suited for studying the brain bases of language. We will then focus on the EEG technique and learn in detail, the necessary steps to design a linguistic EEG experiment. To enable gaining a practical understanding, we will implement a simple experiment in the EEG Lab, and discuss the basics of data collection as well as analysis. As part of implementing the experiment, we will learn to write simple scripts in the Presentation programming language as well to adapt existing code for our purposes. Please use the form “course registration for exchange students” (after you have matriculated). This course is an introduction to German history and in visual culture as well. Therefore we will reflect German history since the beginning of the 20th century, the time of World War I until the rise of recent nationalistic populism. We will focus on pictures as a historical source. What are pictures expressing, what are they hiding? What is real and what is fake? How can we tell German history by means of visual culture in an international context? We are discussing the production, distribution and effects of pictures in different times. Different perspectives of international students from all subjects are welcome! The seminar "Visual History of Germany since the 20th Century" will be accompanied by this tutorial introducing students from abroad to the techniques of academic work within the German university context. By attending this tutorial students will be able to meet the formal requirements concerning literature research, oral presentations and term papers which are also very useful for other courses they will attend while studying at JGU Mainz. We recommend taking part in both the seminar and the tutorial. The seminar “Negotiating Regional Identity through Film: Film History in Rhineland-Palatinate” focuses on film and film production in the region Rhineland-Palatine (RLP). The course takes a closer look at the traces of film works since 1903 (under the British production company Heptworth) and the production of early documentaries and genre films. Of special interest is the production of the Western movie “BULL ARIZONA” (1919, Piel Jutzi) which was shot in the Maudacher Bruch. Jutzis combination of an US-American storytelling tradition (Western) and a German scenery marks a new approach and is an interesting starting point for discussions on the usage of different national story telling strategies in the international context. By reflecting on regional film and well-known sceneries (such as the Porta Nigra, Beilstein on the Moselle or the St. Nicholas Hospital in Bernkastel-Kues) students will gain a deeper knowledge on geographical and historical backgrounds in relation to cultural products. Yet, also critical voices to the Heimatfilm and its connection with the German history should find their place. Contemporary works will also be taken into account: e.g. the film epos HEIMAT (1981-2012) by Edgar Reitz, which illustrates the life after the end of the Second World War until the German Unification in a village of this region. Reitz reflects in his works not only on the term and meaning of “Heimat” but also discloses its inconsistencies. It creates a new perspective on the “Heimatfilm” genre by questioning its romanticizing attitude. This leads also to the connection between regional productions influence narration and discourse of historical events. 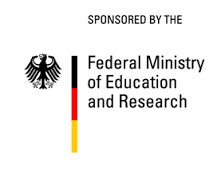 Further topics will be the “Mainzer Tatort” (a crime drama), the media location “Rhineland-Palatine (optional visits of the broadcast station “ZDF” or Film-und Medienforum), international productions in the region, research opportunities for film and media in RLP, film funding and film tourism. The combination of German film history and regional aspects promotes a deeper cultural understanding which makes this course especially suitable for international students who want to get a closer insight into the “Medienstandort” Rhineland-Palatine. The class is open for students of any fields of studies. The modern Rhine-Main area looks onto a rich history characterized by a multitude of diverse cultures. Its location in the heart of Europe allows us to regard it as a true cultural hub. This interdisciplinary and primarily archaeological course aims at introducing students of all disciplines to a selection of sites and finds throughout the above mentioned timeline -focussing only on significant historic events- and to the currently main applied methods. It is open to all exchange students and all students of the JGU and consists of a seminar (2 hrs) and an obligatory tutorial (2 hrs). A field trip to some prominent sites in Mainz will be offered towards the end of the course. The students will undertake 2 exams (they have the choice between a German and an English version) which they will have to pass with at least 50% each to receive their credit points (8 ECTS in total). Apart from that they are invited to contribute a short presentation (10-15 mins.) and/or to hand in a seminar paper (in German or English) should they require it. After receiving their results hereof, they of course would be free to decide whether it should be included in their course grading or not. Should you have any questions in advance, please don´t hesitate to contact us. Der Westwall („Siegfried Line“) wurde im Westen des Deutschen Reiches seit 1938 als monumentale Verteidigungsanlage in der Vorbereitung auf den Zweiten Weltkrieg errichtet. Die forschungspraktische Übung möchte zum einen multiperspektivisch in die Entstehungs- und Wirkungsgeschichte dieses Bauwerks speziell auf dem Gebiet des heutigen Rheinland-Pfalz einführen. In einer praktischen Fallstudie werden wir uns dann intensiv mit der bislang weithin unbekannten Geschichte eines dem Westwall zugehörigen Arbeitslagers in Rheinzabern beschäftigen. Dieses Lager diente dazu, Westwallarbeiter nach bestimmten Regelverstößen zu disziplinieren. Lediglich ein schmaler Betonring im Wald weist heute auf die Existenz dieses Lagers hin. Die Konsultation von Originalakten soll hierüber näheren Aufschluss erbringen. Abschließend werden wir unsere Ergebnisse für die interessierte Öffentlichkeit aufbereiten. Die Bereitschaft zu besonderem Engagement wird vorausgesetzt. Mit diesem Projekt sollen Studierende des Faches Geschichte an die Möglichkeiten und Grenzen historischen Forschens herangeführt werden. Auch wenn die Zeit des Nationalsozialismus gemeinhin längst als gut aufgearbeitet gilt, so zeigen sich nicht zuletzt in regionalen oder lokalen Forschungskontexten bemerkenswerte Lücken. Wie geht man wissenschaftlich korrekt mit derartigen Lücken um, wie kann man sie schließen und wie vermittelt man den Prozess von „Wissen wollen“ und „Wissen können“ angemessen einer an Faktizität interessierten Öffentlichkeit? Austauschstudierende aller Fächer sind in diesem Kurs besonders willkommen. Der Kurs (2 SWS, 3-7 ECTS) vermittelt zum einen am Beispiel der Seminarthematik allgemeine Kenntnisse zur Geschichte des Nationalsozialismus, zum anderen erlaubt er vertieften Einblick in die Wirkungsweisen nationalsozialistischer Herrschaft. Das Tutorium führt internationale Studierende in Techniken wissenschaftlichen Arbeits im deutschsprachigen Universitätskontext ein. Der Besuch des Tutoriums soll den Teilnehmern ermöglichen, sich einfacher einzufinden in die wissenschaftliche Literaturrecherche, wissenschaftliche Präsentationen und das Verfassen von Hausarbeiten. Die hier erworbenen Kenntnisse sollen den Studierenden auch die Arbeit in anderen Kursen an der JGU erleichtern. Wir empfehlen daher die Teilnahme am Kurs und dem begleitenden Tutorium. Die Übung wird im Wesentlichen aus einer auf das sprachliche und sachliche Verständnis des Werkes „Der kaukasische Kreidekreis“ von Bertolt Brecht abzielenden gemeinsamen Textlektüre und -besprechungen bestehen. Die Veranstaltung zielet darauf ab, auf einem den Sprachkenntnissen der Austauschstudierenden angemessen Niveau Textverständnis und Sprachfähigkeit zu verbessern. Am Ende des Semesters kann durch das Absolvieren einer mündlichen Prüfung eine qualifizierte Note erworben werden. !!! Persönliche Anmeldung in der ersten Sitzung am 19.10. im Büro von Herrn Jakobi (Philosophicum, Raum 02-521) !!! Die Übung wird im Wesentlichen aus einer auf das sprachliche und sachliche Verständnis des Werkes „Der Schimmelreiter“ von Theodor Storm abzielenden gemeinsamen Textlektüre und -besprechungen bestehen. Die Veranstaltung zielet darauf ab, auf einem den Sprachkenntnissen der Austauschstudierenden angemessen Niveau Textverständnis und Sprachfähigkeit zu verbessern. Am Ende des Semesters kann durch das Absolvieren einer mündlichen Prüfung eine qualifizierte Note erworben werden. !!! Persönliche Anmeldung in der ersten Sitzung am 17.10. im Seminarraum BKM, Raum SR 01) !!! In dieser Übung werden zentrale Bereiche der Grammatik des Deutschen behandelt wie etwa Wortart-, Satzgliedbestimmung und Satzstruktur. Ziel ist die Vermittlung eines fundierten grammatischen Basiswissens, das sowohl für ein Linguistikstudium als auch für den Deutschunterricht an Schulen eine wesentliche Voraussetzung ist. !! !Bitte beachten Sie: Diese Kurse dienen NICHT dem Spracherwerb und bedeuten KEINE sprachpraktischen Übungen sondern sind linguistische Veranstaltungen auf Muttersprachenniveau!!! * Gallmann, Peter et al. (2017): Schülerduden. Grammatik. 8., komplett überarb. u. aktualis. Auflage. Mannheim: Dudenverlag. * Pittner, Karin/Bermann, Judith (2015): Deutsche Syntax. Ein Arbeitsbuch. 6. Auflage. Tübingen: Narr. Bitte benutzen Sie das Formular "Anmeldung Lehrveranstaltungen für Austauschstudierende" (nachdem Sie sich immatrikuliert haben). YOUR CURRENT SITUATION Studying abroad requires courage, dedication and a whole lot of organization. Everything is different: the language, day-to-day life and university. Despite having attended numerous introductory events, you still have a million questions left to ask. What is the difference between a lecture and a seminar? How many courses do I need to take? How do I best prepare for my presentation? How do I go about writing my first term paper? Who can I contact if I am having problems at university? WHAT WE OFFER The inFORM tutorial works with qualified tutors who will help you get started at university in Mainz. They have lots of useful tips and can answer many of your questions. Over the course of a semester, you, and other international students, will learn the basics of successful student life in Mainz together in small groups. The tutorial starts on October the week after induction week and lasts until the beginning of February. During this period, there will be a 2-hour tutorial each week. ARE YOU planning on completing your entire degree program in Mainz? If so, you will meet other international students right at the beginning who are in the same situation you are. Together, you can figure out what studying in Mainz truly means. ARE YOU an exchange student at the University of Mainz? If so, you can include the tutorial in your learning Agreement and earn 2 ECTS credit points (only applicable if you regularly attend the sessions). Contemporary Research in Social Sciences (CRiSS) is a recurring lecture series organized by the Faculty of Social Sciences, Media and Sports of Johannes Gutenberg-University Mainz. Members of the faculty present their current research projects in English and provide an insight into their research activities. Thereby, students learn about the research conducted in their immediate environment beyond their standard courses. They get to know the subjects and methods which characterize the faculty and receive an impression of their lecturers’ working profiles and common research practice. The group of presenters comprises young researchers from all of the faculty’s disciplines: Communication Studies, Educational Science, Political Science, Psychology, Sociology, and Sports Science. CRiSS provides an opportunity for students as well as researchers from neighboring disciplines to exchange thoughts, network and cooperate. The lectures are held in English to enable an international exchange – with students as well as visiting researchers. This year, topics include amongst others procrastination and communication technologies, pokemon, homework, abortion, youth and sports, interregional relations between EU and Africa, and attitudes towards migration within Europe. This tutorial supplements the lecture series „Contemporary Research in Social Sciences“(CRiSS). It is open to all international and regular JGU-students. Participants learn to understand, structure and analyse lectures of diverse fields of study as well as to critically reflect on the lectures’ content. Thereby, participants not only improve their English listening skills but also gain key competences of advanced scientific work. Students receive 3 ECTS by regularly submitting structured summaries of the CRiSS-talks. Details will be provided in the first session. Please use the form “course registration for exchange students”. The course will give a general overview of the history of food and diet in the modern age, with a focus on Europe and Germany in the 19th – 21st history. Individual topics will be elaborated on in sections, e.g. introduction and popularization of selected foods, the evolution of taste in historical change, hunger – malnutrition – improvisation in times of crisis and war, food industry and technology (e.g. refrigeration), agency and recording (“From the cookbook to food blogs”), locations of eating (inns, taverns, cafeterias, eating at home), foreign and traditional cuisine (migration and diet), food as lifestyle (diets, trends, toxins, promises of healing), food in art. An excursion as well as a group dinner will complement the course. Although the course will be in English, there will be references to the German (food) language, if applicable. In this compact course ("Empirical studies of language using the EEG methodology: A Hands-on Introduction"), we will introduce various methods of studying language empirically, and move on to discuss those methods that are particularly well-suited for studying the brain bases of language. We will then focus on the EEG technique and learn in detail, the necessary steps to design a linguistic EEG experiment. To enable gaining a practical understanding, we will implement a simple experiment in the EEG Lab, and discuss the basics of data collection as well as analysis. As part of implementing the experiment, we will learn to write simple scripts in the ‚Presentation' programming language as well to adapt existing code for our purposes. This interdisciplinary and primarily archaeological course aims at introducing students of all disciplines to a selection of sites and finds throughout the above-mentioned timeline - focusing only on significant historic events- and to the currently main applied methods. The students will undertake 2 exams (they have the choice between a German and an English version) which they will have to pass with at least 50% each to receive their credit points (8 ECTS in total). Apart from that, they are free to additionally hand in a seminar paper (in German or English), should it be required. Die Übung wird im Wesentlichen aus einer auf das sprachliche und sachliche Verständnis des Werkes abzielenden gemeinsamen Textlektüre und -besprechungen bestehen. Die Veranstaltung zielet darauf ab, auf einem den Sprachkenntnissen der Austauschstudierenden angemessen Niveau Textverständnis und Sprachfähigkeit zu verbessern. Am Ende des Semesters kann durch das Absolvieren einer mündlichen Prüfung eine qualifizierte Note erworben werden. Voraussetzung zur Teilnahme an der Übung ist eine persönliche Anmeldung, sie findet zum ersten Sitzungstermin statt. Brechts Manuskript Flüchtlingsgespräche (1940 - 1942), post mortem aus dem Nachlass erschienen, schildert die Begegnung des Arbeiters Kalle und des Physikers Ziffel, die sich in ihrem Exil auf der Flucht vor den Nationalsozialisten in Helsinki begegnen. Ziffel und Kalle betreiben in den vorliegenden 18 Gesprächen eine eigenwillig zutreffende Analyse der Umstände der Flucht und Emigration sowie der politischen Umstände und deren Auswirkungen. Ersichtlich autobiographische Züge weist das Manuskript hierbei nicht auf, jedoch lassen sich Parallelen zu Brechts eigener Emigration ziehen. Die Übung wird im Wesentlichen aus einer auf das sprachliche und sachliche Verständnis des Manuskriptes abzielenden gemeinsamen Textlektüre bestehen. Am Ende des Semesters können durch das Absolvieren einer mündlichen Prüfung eine qualifizierte Note und maximal 4 ECTS-Punkte erworben werden. Bertolt Brecht: Flüchtlingsgespräche. Erweiterte Ausgabe. 2000 (= Suhrkamp Taschenbuch, 3129), 10 €. Bitte beachten Sie, dass dieser Kurs 6x mit jeweils gleichem Inhalt angeboten wird. Im Seminar arbeiten wir gemeinsam an einem Projekt, das Zusammenarbeit, Kreativität und Handwerk fördert. Diese zentralen Elemente verbinden wir unter dem Ziel ein Alphabet für das Philosophicum zu kreieren und zu schreiben. Die Texte des Alphabets bekommen eine Form, die sowohl Ansätze der klassischen Lyrik, aber auch der instagram poetry und der alltäglichen Universitätssprache vereinen kann. In Blockveranstaltungen arbeiten wir in einer mehrsprachigen Gruppe und in einzelnen Tandems und setzen unseren Ideen keine Grenzen. Die Einführung in das kreative Arbeiten und Schreiben begleitet die thematische Recherche und das Schreiben eigener Texte. Auch im Schreibprozess bleiben der Austausch und gegenseitige Reflexion zentrale Elemente. Die geschriebenen Texte werden in diesem Projekt nicht nur selbst geschrieben, sondern auch gedruckt. Wir tauchen in das Universum des Drucks ein und bringen die Texte des Alphabets unter Facheinleitung in der Werkstatt des Gutenberg Museums zum Leben. Das Projekt schließt mit einer kleinen Ausstellung der gedruckten Texte ab. In diesem Seminar geht es um die Entwicklung und das Ausprobieren eigener Ideen, das Experimentieren mit und beim kreativen Schreiben und das Handwerk des Druckens mittels Handsatz. Weitere Informationen und Anmeldung unter www.philis.uni-mainz.de/philobeet. Die Anmeldefrist ist der 19. April. DEINE SITUATION Studieren in einem fremden Land erfordert Mut, Engagement und viel Organisation. Die Sprache, das Leben und die Universität - das alles läuft ganz anders. Nach vielen Einführungsveranstaltungen stellst du dir trotzdem noch 1000 Fragen. Was ist der Unterschied zwischen Vorlesungen und Seminaren? Wie viele Veranstaltungen muss ich besuchen? Wie bereite ich mein Referat vor? Wie beginne ich meine erste Hausarbeit? Zu wem kann ich gehen, wenn ich Probleme im Studium habe? UNSER ANGEBOT Im inForm-Tutorium stehen dir ausgebildete Tutoren und Tutorinnen beim Start in das Studium in Mainz zur Seite. Sie geben dir Tipps und beantworten deine Fragen. In einer kleinen Gruppe lernst du gemeinsam mit anderen internationalen Studierenden während eines Semesters, was wichtig für ein erfolgreiches Studium in Mainz ist. Das Tutorium beginnt in der ersten Semesterwoche im April und geht bis Ende Juli. In dieser Zeit gibt es jede Woche 2 Stunden im Tutorium. DU BIST im Rahmen eines Austauschprogramms an der Uni Mainz? Dann kannst du das Tutorium in dein Learning Agreement aufnehmen und bekommst nach der regelmäßigen Teilnahme am Tutorium eine Bestätigung über 2 ECTS-Credits. DU BIST für das ganze Studium in Mainz? Dann lernst du gleich zu Beginn andere internationale Studierende kennen, die in der gleichen Situation sind. Gemeinsam könnt ihr entdecken, was das Studium hier ausmacht. DIE ANMELDUNG geht ganz schnell und unkompliziert: Fülle einfach die Online-Anmeldung aus! Falls Du Fragen hast, kannst du eine E-Mail an philis@uni-mainz.de schicken oder die Frage im Feld "Bemerkungen oder Fragen" in der Online-Anmeldung stellen. "Der Rhein zählt zu den bekanntesten Strömen Europas und gilt Vielen als das „Herz Deutschlands"". Auch für Mainz und Rheinland-Pfalz ist der Fluss von großer Bedeutung. Doch was verbirgt sich hinter diesem Strom, der so viele Mythen nährt? Und: Kann ein Fluss Geschichte schreiben? In unserem Kurs wollen wir diesen Fragen nachgehen. Wir werden die „Biographie“ des Rheins seit dem 19. Jahrhundert in einer transnationalen, multiperspektivischen Beziehungsgeschichte zu erschließen versuchen. Dazu beschäftigen wir uns zum einen mit der Problemgeschichte des Flusses, wie sie sich in Politik, Umwelt, Verkehr und Wirtschaft stellt(e). Zum anderen nähern wir uns aus kulturgeschichtlicher Perspektive gleichsam dem Innenleben des Stroms. Eine Vielzahl von Relikten (z.B. Loreley, Rheinromantik) steht für die Träume und Sehnsüchte der Menschen, die mit dem Fluss in Berührung kamen. Welche Rolle spielte also der Rhein in den letzten beiden Jahrhunderten im Gemütshaushalt und als Erinnerungsort für das Selbstverständnis insbesondere der Deutschen? Und wie gestalten sich seine gegenwärtigen Perspektiven in Europa? Im Rahmen der Übung werden wir eine Exkursion unternehmen. Bitte benutzen Sie wie bei regulären Kursen das Formular „Anmeldung Lehrveranstaltungen für Austauschstudierende“.